In addition to just being an all around great film, Zootopia is also a ton of fun to look at. The city of Zootopia is packed full of jokes and references, mostly of the animal pun variety. 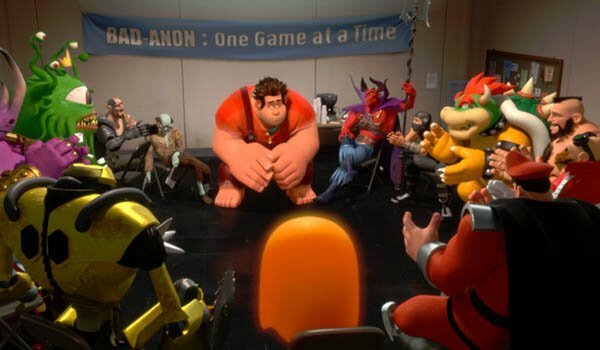 But beyond that, the film contains numerous easter eggs that nod to everything from your favorite band to your favorite Disney movies from the past. With that in mind, here are our favorite subtle, and not so subtle, pop culture references found in Zootopia. The second time we encounter the criminal weasel voiced by Alan Tudyk (more on him later) he’s selling bootleg DVDs. The first table is selling popular Zootopia versions of your favorite recent Disney hits, including Pig Hero 6, Wrangled, and Wreck-it Rhino. The true highlight here, however, is the next table, which is selling movies based on upcoming Disney films. Meowana is a reference to Disney’s pacific island princess movie Moana, which will be out in November. Giraffic refers to Disney’s planed Jack & the Beanstalk movie Gigantic, planned for 2018, and, the eventual Floatzen 2, which is a movie we will get one day. When Judy Hopps gets on the train bound for Zootopia, she passes the time by listening to her portable music player. While the band and song titles fly by pretty quickly, she's got a variety of great music by some awesome sounding bands like the Fur Fighters, Fleetwood Yak, and The Beagles. It turns out that Gazelle is a big Disney fan as well. In addition to her song "Try Anything," the album Judy listens to also includes the songs "Part of Your Wool," "Ara-bunny Nights," and, of course, "Let it Goat." While the weasel selling bootleg movies gives us many Disney references, he is also one himself. 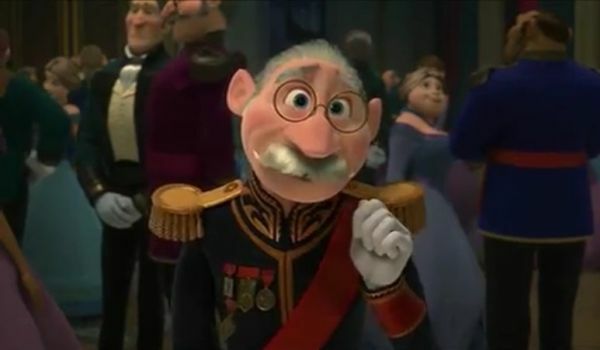 His name is Duke Weaselton and he’s voiced by Alan Tudyk, who also voiced the Duke of Weselton in Frozen. Even if you don't recognize the voice, you'll still recognize the way the character corrects the pronunciation of the name. Tudyk has lent his voice to four consecutive Disney films and it looks like they’re getting into the habit of giving him variations on the same name. When Chief Bogo (a cape buffalo voiced by Idris Elba) is dressing down Judy for her dream of becoming a great cop, he tries to get her to understand that life is not a place where you get what you want simply because you want it. He specifically states that life is not a cartoon musical, and that she should "Let it Go." It’s a specific reference, too. Obviously Chief Bogo saw the original Floatzen. Though there are many, not every joke in Zootopia is a reference to other Disney properties. Some of the gags are about shows that most younger members of the audience probably don’t watch, but their parents do. Near the end of Zootopia you meet Doug. He’s got a lab where he brews the serum, a blue serum, being used against the predators in town. 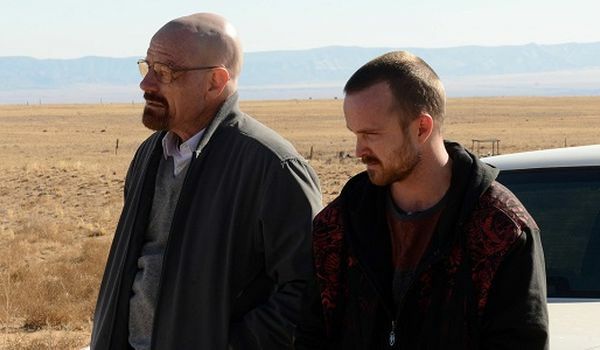 In addition to that, he’s got a couple of partners, Woolter and Jesse, a pair of names that may sound familiar to fans of Breaking Bad. Organized crime is a problem in any major city, and the metropolis of Zootopia is no different. Mr. Big, an arctic shrew, runs the criminal underworld of Tundra Town. While his name is more a reference to his position, not his physical stature, Mr. Big owes quite a lot to another famous mobster. 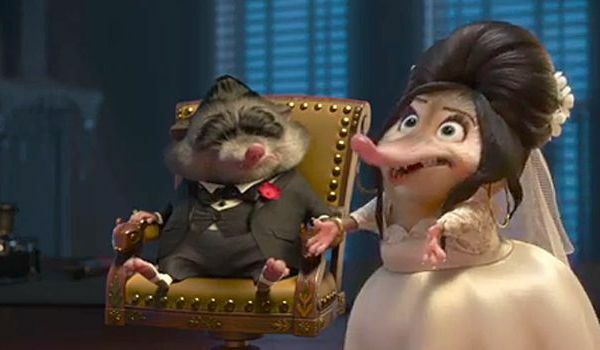 One of Don Corleone’s most famous misquotes regards the day of his daughter’s wedding, and Zootopia mangles it in proper fashion. 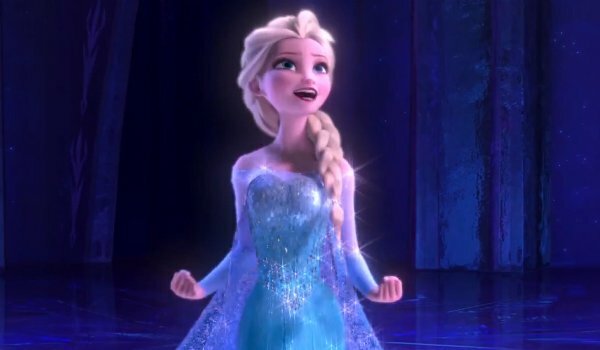 More Frozen, because Disney, and it was a massive hit and has become a cultural touchstone. Kristen Bell, or as I call her, the artist formerly known as Veronica Mars, adorabled her way into the Disney canon by voicing Anna, Disney’s manic pixie dream princess. But just that wasn’t good enough for her. Apparently, Kristen Bell also has a thing for sloths (to put it mildly. In Zootopia’s Department of Mammal Vehicles, Bell voices Priscilla, the second recipient of the "three humped camel" joke. The Lucky Cat Cafe sounds like exactly the sort of place you might expect to find in a city like Zootopia, though it is a little strange that such a place exists in Little Rodentia, the area of the city where all the rats and mice live. 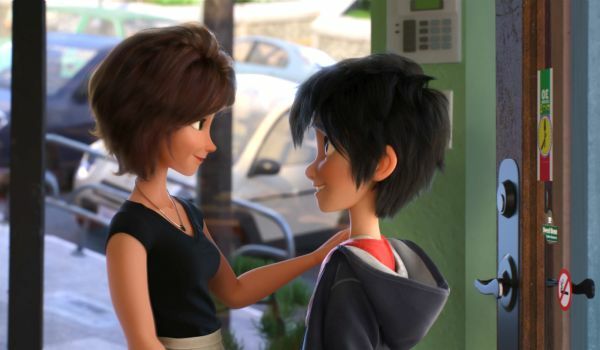 It’s a somewhat more literal version of the same cafe in Big Hero 6, which is run by Hiro’s aunt Cass throughout the film. We assume here the thing that's lucky is the cats don't show up. Here’s an old school one for the serious fans. Emmet Otterton, the missing otter Judy is tasked with tracking down, isn’t the first on-screen otter to bear that name. 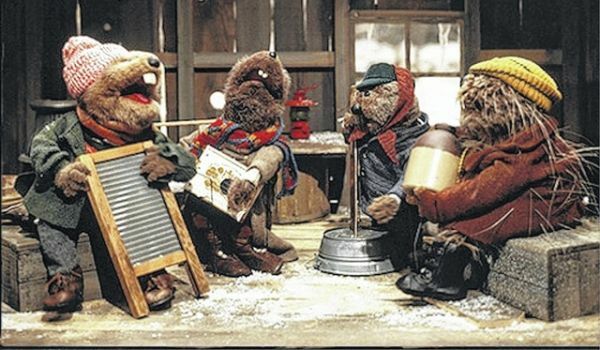 Emmet Otter’s Jug-Band Christmas was a TV special from the late 1970’s put together by Muppets creator Jim Henson. If you were a kid in the late 70’s and early 80’s you probably saw this one playing freqently during every holiday season. We guess the directors did too and have fond memories. There are more animal puns in Zootopia than you can shake a yak at, but one of our favorites has to be one that the kids really won’t get. 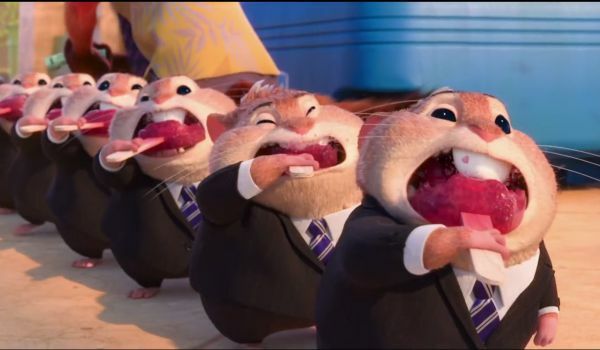 When Nick Wilde sells his pawpsicles to a bunch of rodent bankers at the end of a long work day, it’s a row of lemmings leaving the Lemming Brothers Bank. 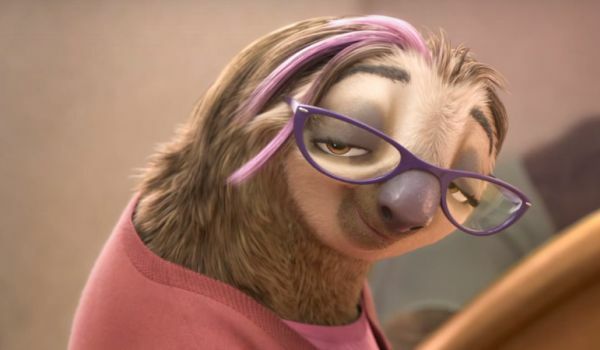 We’re not sure the directors of Zootopia are making a larger statement about the banking industry, but we’re not sure they’re not doing that either.